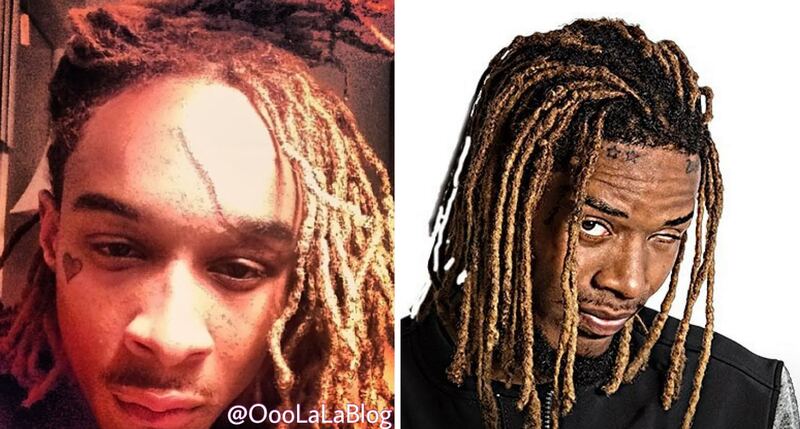 NJ Rapper Tax G Speaks On Fetty Wap Copying His Style, P-Dice Responds - Ooooooo La La! New Jersey rapper Tax G speaks out about Fetty wap plagiarizing his style. Back in May, I did a blog post pointing out the similarities between both of the Jersey rappers and I asked the readers if they feel as if Fetty copied Tax G's look and lingo (view that post here). Tax G touched based on the subject shortly after I wrote my post. He explained on Instagram that he created the style of rap seven years ago, the style that Fetty Wap is widely known for today. Tax G wrote several weeks ago, "Since trap queen dropped people have been hittin me nonstop about fetty and his music soundin like he's using my style. I don't know what goes on in that mans mind so who am I to judge and if the sound I created 7 years ago inspires successful artists and others on the come up in jersey I'm happy about that." "When I started my sound it was unpopular, labels were nervous, and a lot of people were afraid to support it before I started to build my fan base and people stopped being scared to bump something different that was a fresh listen from everything else they heard on the radio." The rapper continued to write, "At the end of the day there will only be one Tax G and there will be no diss records so stop askin lol. Even before the record blew I copped trap queen on iTunes to support another jersey artist on the come up, I'm happy to see that my state is getting more attention and I'll see him at the top.#NJvsEverybody"
"Yo no disrespect to your craft..I actually just heard your stuff.. BUT...I'm fetty's engineer since he began even coming to the studio..this the first time I hear your name this the first time I hear your music..So cool that you feel like my bro has your style..but that's his melodies his voice his sound 150% so please don't try to act like my niga took your sound never in a million years bro..lol.."
Well, the situation escalated a little more this week when Tax G posted a question on his Instagram page to P-Dice (who is in Fetty Wap's 1738/ Remy Boyz crew) about using his logo. P-Dice responded with a video message (below) and wrote Tax G is lying, "he wants to be famous bad as hell." Uh oh! It looks like these Jersey rappers won't be seeing eye to eye anytime soon. What do you think OooLaLaFam? RELATED POST: EXCLUSIVE: Did Fetty Wap Bite Off Another NJ Artist?